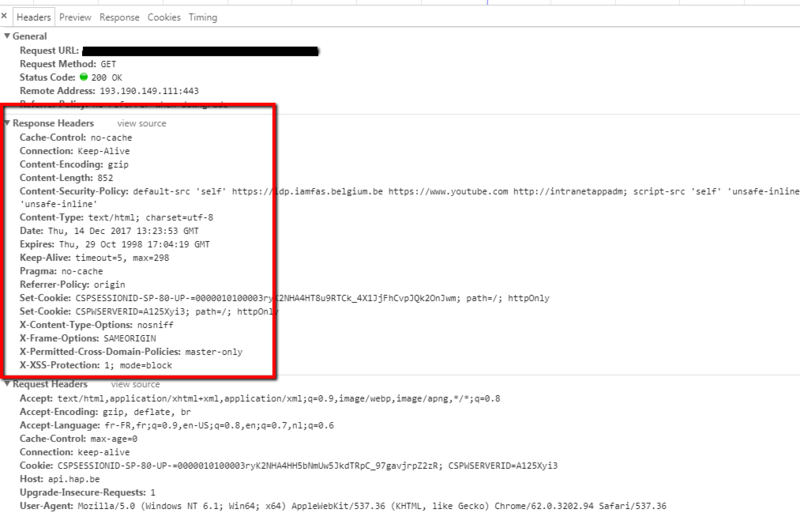 I try to get a property set in my server response header. Some one have an idea ? 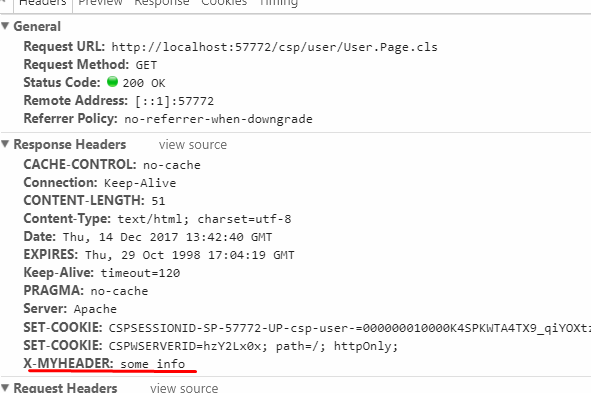 To set any response header, you should overwrite OnPreHTTP method in your CSP Page class. /// setting the content type etc. must be made from within the OnPreHTTP() method. /// %session.EndSession or %session.AppTimeout must be made within the OnPreHTTP() method. /// as this is more efficient, although it is supported in any section of the page. /// Return <b>0</b> to prevent <method>OnPage</method> from being called. You right I can access some response header in the OnPreHTTP with GetHeader. i think the folowing will resolve your problem. this way, you can get the property of header. i receive a response in rest and want to take information from the response header. to imput information on request header ok, but to take the information from the response header is the problem.